Having purchased an electric car, you are sure to have a lot of questions. We answer the most important of these questions in our advice articles. 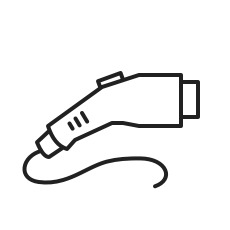 Find out why you need a charging station, how to charge your electric car efficiently and how to find the charging solution that suits you best. We also explain some of the technical terms and introduce you to the world of electric mobility. I have a conventional electric plug socket in my garage. Why do I need a charging station for my car? The Renault Zoe takes about 10 hours to charge using a conventional plug socket. Using a wallbox, however, it needs only 1.5 hours. See all models and their individual charging features. We help you make your decision. Just read our tips and you will quickly find the right choice for you. Go that extra mile for the environment by using green energy or solar power. Bidirectional charging opens up completely new possibilities. The Smartfox energy manager allows you to streamline your consumption levels and save on electricity costs. It also gives you the ability to monitor your energy consumption using a convenient app or web app. Does the EV have a certified battery status? Can I perform an analysis of the battery? How much performance has the battery already lost? cost to install a wallbox? when installing a charging station? station installed in the underground car park? 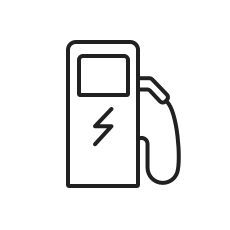 Charge several cars at the same time at your site, and simply bill for the power used by company cars and employees – we will be happy to offeradvice along the way. Attract new guests with an electric car charging station, and make a name for yourself as an innovative hotel or restaurant. 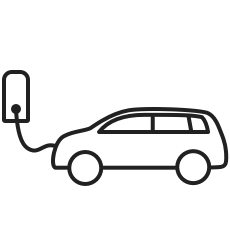 Give your visitors the option to charge their electric car during visiting hours, and become an environmentally sustainable facility. Time spent shopping provides the perfect opportunity to charge electric cars. Win new customers, and/or retain existing ones, with a charging facility for electric cars. We support you in planning electrical installation and choosing the right charging station, as well as in integrating a load management system. As a car park operator you can use a charging station to attract new customers, and set yourself apart from other competitors. Any more questions? We would be delighted to help you further.